Midweek Update, Thursday, November 13th: San Juan Island Sea Salt & Pinckney Cookie Cafe Return! Crabapples! Dried Beans & Dried Chiles! San Juan Island Sea Salt at Ballard Farmers Market. Copyright Zachary D. Lyons. You use salt every day… probably multiple times a day. Wouldn’t it be nice to get that salt right here at your Ballard Farmers Market, too? Well, now you can! San Juan Island Sea Salt Company returns this Sunday with their wonderful pond evaporated sea salt made on San Juan Island with the waters of our own beloved Salish Sea. Why not season your food with a taste of home, eh? And this will not be the last time you’ll here me say this in the next several weeks: it makes a great gift! Wickson crabapples from Booth Canyon Orchard Ballard Farmers Market. Copyright Zachary D. Lyons. Don’t let this image fool you. These are tiny Wickson crabapples, not full-sized apples. It was developed by Albert Etter in Humboldt County, California by crossing two other crabapple varieties. Grown by Booth Canyon Orchard, they have a strong flavor suited well to making ciders. This Sunday is likely your last opportunity to get some of them this season. Hurrerite (left), tiger, black & pinto beans, and hard red wheat, from Kirsop Farm Ballard Farmers Market. Copyright Zachary D. Lyons. Kirsop Farm from Tumwater joined our vendor ranks two weeks ago. Kirsop is a certified organic farm that grows a great diversity of crops, much like Nash’s Organic Produce and Alm Hill Gardens. In addition to Kirsop’s gorgeous veggies, which currently include magnificent romanesco and Pink Beauty radishes, they also grow lots of legumes and grains. Right now, you can get four different kinds of dried beans: hurrerite, tiger, black & pinto, and well as hard red wheat. All are great for hearty fall soups, stews, salads and more! Dried chipotle peppers from Alvarez Organic Farms Ballard Farmers Market. Copyright Zachary D. Lyons. While our friends at Alvarez Organic Farms bring the last of this year’s fresh peppers to your Ballard Farmers Market this coming Sunday, they will also have many varieties of dried chile peppers, including these chipotle peppers. Their dried peppers will keep for months, if you don’t use them first, and they are great added to all kinds of recipes. Try some of the chipotles mashed with some Lyall sweet potatoes, some garlic and a little maple syrup. Nummers! Double chocolate chip cookies from Pinckney Cookie Cafe Ballard Farmers Market. Copyright Zachary D. Lyons. Michael Pinckney returns with his Pinckney Cookie Cafe this Sunday at your Ballard Farmers Market. Michael makes his cookies using local flour from Shepherd’s Grain, and, as he likes to put it, the number one ingredient in his cookies (except the oatmeal raisin, of course) is chocolate. As I like to put it, they’re like Cougar Mountain cookies, only really good! 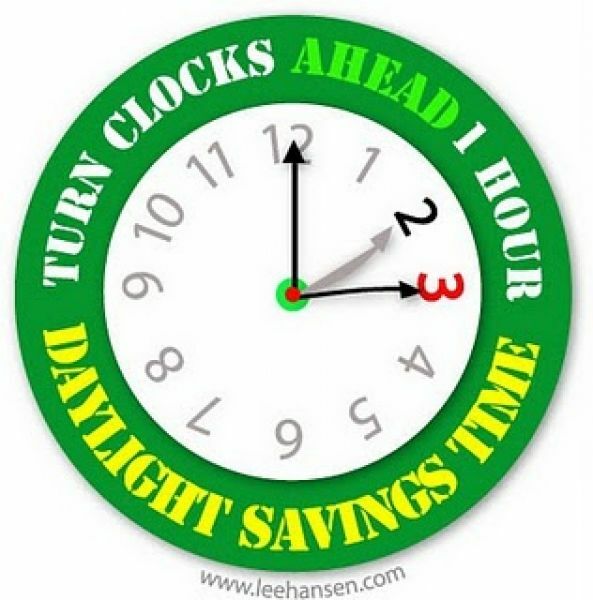 Did you set your clocks forward an hour for Daylight Savings Time? Image courtesy LeeHansen.com. Braising mix from Colinwood Farm. Photo copyright 2014 by Zachary D. Lyons. Green things. We need green things to lift our spirits and help us overcome the constant desire to nap this week. Lucky for us, green things is what Colinwood Farm does best this time of year! They are cranking out gorgeous braising mix, spinach, salad mix and more from their greenhouses right now. And rumor has it, they might even have some baby squash soon, too! Lyall Farms is still rocking the Beauregard sweet potatoes, friends. You ever just cut them up with some parsnips and toss them with oil, salt and pepper, and roast them in a hot oven for about 25-30 minutes? I love that! Simple, sweet deliciousness. Or try cubing them, steaming them, and then mashing them with some chipotle peppers in adobo sauce and a little maple syrup. Boy, howdy! Fuji apples from Martin Family Orchards. Photo copyright 2013 by Zachary D. Lyons. You’ll still find lots of apples and pears from the 2013 fall harvest at Martin Family Orchards. And while you’re at it, why not grab a cup of cider on the go, and a jug of it to take home with you? So many ways to keep the doctor away! Are you thinking what I’m thinking? (Okay, I grant you, you probably aren’t, and that’s just as well…) This is great pasta weather! Steam up the kitchen with pastaliciousness. The handmade, artisan pastas from Ballard’s own Pasteria Lucchese are about as good as pasta gets in this town, and they will either hook you up with an appropriate sauce for your choice of pasta, or they’ll give you a great idea for dressing it. This saffron tagliatelle is made with local saffron from our own Phocas Farms, and it is quite seafood friendly. Of course, you’ll need some amazing artisan bread from Tall Grass Bakery to go with your pasta, or whatever else you’ll dine upon. Just look at this selection! From left to right, we’ve got sourdough rye, Baker Street sourdough, pain au levain, Avery’s pumpernickel, wheat & honey, and compagnon, and that’s just for starters! Red Lasoda potatoes from Olsen Farms. Photo copyright 2012 by Zachary D. Lyons. You know, St. Paddy’s Day is just over a week from now. Last week, your mission was to get brisket to brine for 10 days in preparation for it. This week, why not get one step ahead of the herd and stock up on red potatoes from Olsen Farms, like these red lasoda potatoes, or perhaps some nice desiree potatoes. Two weeks ago, Seattle Chefs Collaborative held is 8th annual Farmer-Fisher-Chef Connection which brings together chefs and food producers from all over the region to do business with each other, strengthening our local food system. And among those products creating a buzz this year was this camelina oil from Ole World Oils in Ritzville. It was used in half of the 10 entrees on the event’s epic lunch buffet, resulting in chefs playing, “What is that unique flavor we’re noticing running through so many dishes today?” This is your local cooking oil, suited well to being produced in Eastern Washington. It is fresh, healthy, versatile and full of character and flavor. I, personally, have found that I have begun using it instead of other oils, like olive and canola, in at least half of my cooking over just the past two months. It is priced right, too, so give it a try today! Jersey cow yogurt from Samish Bay Cheese. Photo copyright 2012 by Zachary D. Lyons. Finally, how about some live-cultured yogurt to help make your mouth and your tummy very happy right now? This jersey cow’s milk plain yogurt and Greek yogurt from Samish Bay Cheese is full of body and flavor, and considering you are getting it straight from the farm, you will be amazed at how its price compares to lesser yogurts considered “high end” at the Big Box store. Sunday, January 19th: Cooking Oil, Cranberries, Leeks, Chickweed & Refillable Wine Bottles! Happy Sunday! This is the first Sunday since December that your Ballard Farmers Market has had to share with the Seahawks, but fortunately, kickoff in the NFC Championship Game does not happen until 3:30 p.m., half an hour after we close. So you’ve got plenty of time to get down here, get your localiciousness on for the coming week, zip home to drop it off, and get back down here again to watch the Game with us and the gang in one of Ballard Ave’s 13,478 watering holes. And for the 13% of you who still don’t care about the Seahawks, we’re here for you, too! Oh, hey. Ole World Oils returns today with their camelina oil. This cooking and finishing oil is made from cold-pressed camelina seeds (a mustard cousin) that are grown and processed by Ole World Oils on their farm just outside of Ritzville in Eastern Washington. This oil is fresh, delicious, high in beneficial omega-fatty acids, is great drizzled over salads and as a finishing oil, and has a very high 475 degree smoke point, making it perfect for any cooking application. And it is priced to easily replace all of your imported oils, be they from Italy, Canada or California. Fresh Washington true cod from Wilson Fish. Photo copyright 2010 by Zachary D. Lyons. Wilson Fish may be best known for its fresh, frozen and smoked Washington salmon and its halibut, but this time of year, if you want fresh fish from them, this true cod and ling cod are what you are likely to find. I love pan-frying their true cod. I make a breading of grits, whole grain flour, rice flour, corn starch, salt, pepper, chile powder, garlic granules and some dried oregano, mixing it altogether in a bowl with a fork, to ensure everything is carefully blended. Then, I like to cut the fish into “nugget” sized pieces, which I give a quick dip in egg, then roll in the breading until fully coated. Then, I toss it in a hot BluSkillet iron pan that I’ve put a healthy amount of camelina oil into, and I fry it on each side until crispy. It doesn’t take long, and you can make up the breading in advance and save any leftover breading in the freezer. This breading works great with Hama Hama Oyster Company shucked oysters, too! Chickweed from Stoney Plains Organic Farm. Photo copyright 2013 by Zachary D. Lyons. Hmm. Maybe a nice side of chickweed salad would be good with that pan-fried true cod. Stoney Plains Organic Farm has chickweed already, just for this purpose. Farms like Stoney Plains grow chickweed over the winter as a nitrogen-fixing crop that helps build nutrients back into their soil naturally. Smart farms like Stoney Plains choose varieties of chickweed at are good for human consumption, so they get an addition crop out of it, and we get an additional winter and early spring green. Make a simple chickweed salad by tossing it with some salt, pepper, some sheep feta from Glendale Shepherd, some sunflower seeds or pine nuts, a little lemon juice or local verjus, if you’ve got some, and some camelina oil. Frozen organic cranberries from Starvation Alley Farms. Photo copyright 2014 by Zachary D. Lyons. Look, kids! Starvation Alley Farms has frozen organic cranberries for you! Woohoo!!! Make pies, jams, sauces, muffins, cookies, whatever you love to do with cranberries. Make a nice dressing with them for that chickweed salad. Cranberries: they’re not just for Thanksgiving anymore! Refillable bottles (left) from Wilridge Winery. Photo copyright 2013 by Zachary D. Lyons. Those big bottles on the left above? They are refillable! Seriously. Wilridge Winery, based in Madrona, worked it out with the Liquor Control Board so that they can reuse these magnum-size (1.5 liter) bottles. Why, you ask? Lots of reasons. First off, whether a new bottle is made from virgin or recycled glass, it still requires a lot of energy to make them. Not these. Next, when they reuse bottles, they do not have to buy new bottles for each new bottling, a cost they would normally pass onto you. And because the bottles are larger, you get twice the wine for the price of one bottle, not to mention that it cuts the cost of labor to fill that bottle in half, too! The result is that for $20 plus an $8 bottle deposit, you get an excellent, everyday, local table wine. Wilridge will be sampling their wines today at your Ballard Farmers Market. Give them a try, and then grab one of these refillables for your Hawks party, or for the party you having not watching the Game. Wool from Glendale Shepherd. Photo copyright 2014 by Zachary D. Lyons. Glendale Shepherd makes great sheep’s milk cheeses. But something else their sheep produce is wool! This wool, in fact. Mind you, the wool usually isn’t this color of green whilst on the sheep, unless the sheep is acting out against its parents. Leeks from Alm Hill Gardens. Photo copyright 2014 by Zachary D. Lyons. Mmm. Leekliciousness. Think sauces, soups, sautés, tortes… tarts for that matter. Winter leeks are wonderfully sweet for whatever application you have, and Alm Hill Gardens has these lovely young leeks for you now. Many butter flavors from Golden Glen Creamery. Photo copyright 2011 by Zachary D. Lyons. A little butter with them thar leeks sounds pretty good, too. Or for cooking your eggs… which come to think of it, might make for a nice scramble with some leeks, eh? Or buttered toast with one of Golden Glen Creamery’s many sweet or savory flavored butters. Golden Glen’s farmstead butters are made up on their farm in Bow, and if you haven’t tried them, you likely don’t really know what truly fresh butter tastes like. Trust me. Certified organic beef chuck roasts from Skagit River Ranch. Photo copyright 2012 by Zachary D. Lyons. When it is cold, dark and damp this time of year, it is the perfect time to warm up your whole home with a nice roast, don’t you think? Skagit River Ranch has these gorgeous, delicious, grass-fed and finished, certifed organic beef chuck roasts from their farm up in Sedro-Woolley, in the Skagit River Valley. Grab yourself some roots, and get roasting! Curly leaf kale from Children’s Garden. Photo copyright 2012 by Zachary D. Lyons. It is also serious kale season, and Children’s Garden has lots of this green curly leaf kale right now for you. They’ve also got some nice collard greens now, too, as well as fresh herbs, and, of course, their beautiful flower bouquets, even this time of year. Organic Pink Lady apples from ACMA Mission Orchards. Photo copyright 2012 by Zachary D. Lyons. ACMA Mission Orchards still has plenty of their certified-organic apples and pears from their fall harvest for you. Like these Pink Lady apples — sweet, crunchy and satisfying, they will help you keep the doctor away all winter long. Whole grains, flour and dried legumes from Nash’s Organic Produce. Photo copyright 2014 by Zachary D. Lyons. Nashs’ Organic Produce produces lots of grains and legumes in addition to the produce for which they are both named and loved. Right now, you can get lots of dried beans from them, from fava beans to kidney beans to black beans to field peas, as well as several types of grains, from hulless oats to triticale to rye to wheat. They even have several kinds of flours milled right on the farm and delivered fresh to you at your Ballard Farmers Market! Sunflower sprouts from Jarvis Family Garlic Farm. Photo copyright 2014 by Zachary D. Lyons. Finally, let’s get our sunflower sprouts on for winter, eh? Packed with nutrients and flavor, they make a great addition to salads and sandwiches, and a great garnish, too. Jarvis Family Garlic Farm has these fresh sprouts now, as well as wheatgrass, great for juicing.